Ambivalent. I think that's how most of us feel about going to the dentist. We love the results—straight or clean teeth, the elimination of that aching tooth. 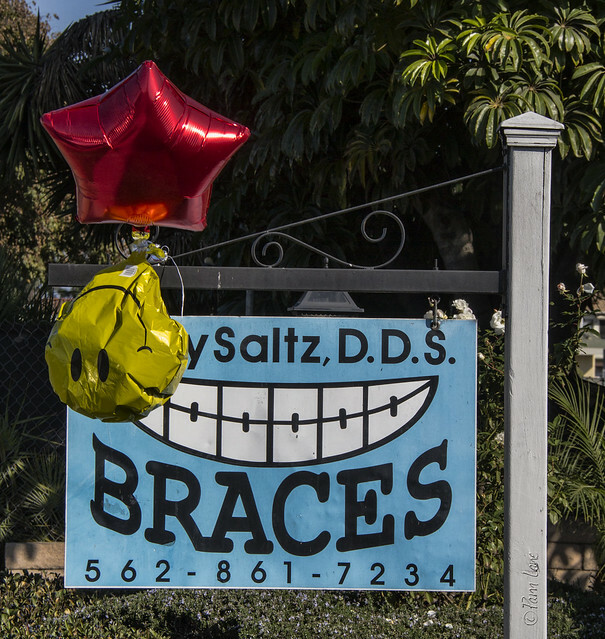 But like the wind affects the balloons on this sign, the thought of going to the dentist makes our smiles turn upside-down and our hearts pound in our chests. "Happiness is your dentist telling you it won't hurt and then having him catch his hand in the drill."